I’m a big fan of airlines that introduce unique lounge amenities, whatever form they might come in. Well, Cathay Pacific has just introduced something in their lounges that I don’t think we’ve ever seen before. 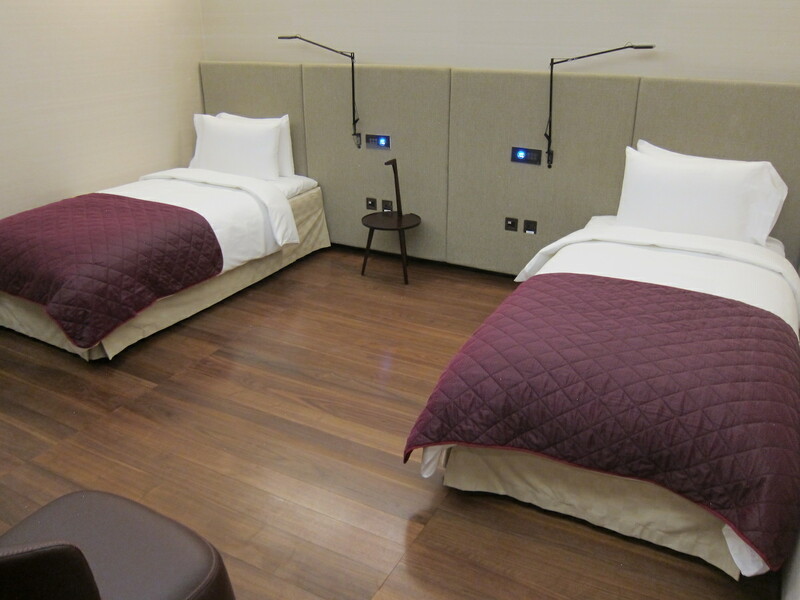 Cathay Pacific has just opened up a yoga and meditation section in The Pier Business Class Lounge in Hong Kong. 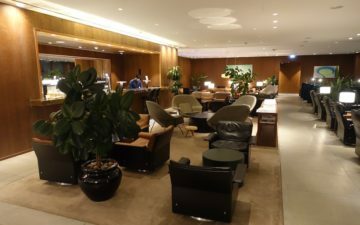 This lounge is open to oneworld first and business class passengers, as well as oneworld Emerald and Sapphire members. The new space is called The Sanctuary by Pure Yoga, and consists of a 700 square foot area divided into two zones — The Body Sanctuary, dedicated to yoga, and The Mind Sanctuary, dedicated to meditation and focusing and calming the mind. 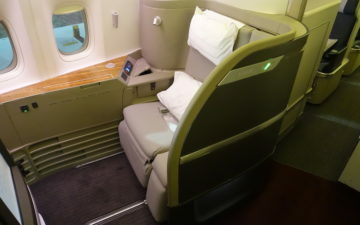 I really think airlines need to do more to incorporate wellness into flying, and to me that should include than initiatives like Westin renting out used sneakers to guests. This is a very nice initiative, and I’d be curious to check it out the next time I pass through Hong Kong to see how many people are using it. What do you make of the concept of airport lounge yoga and meditation? Not sure if the Chinese DAMA will occupy this place to have their own square dancing (GUANGCHANG WU)…..
I’m a fan! I find meditation and mobility to be important aspects of overall health. Pretty cool. Chicago Midway actually has a similar Yoga studio for those interested. Awesome! Usually I find an empty spot in the lounge or a desolate location in airports. Many airports in Asia (I found a few in India) have rooms for yoga and meditation, although they are just empty rooms with a large floor space. Some airports in the US (SFO and O’Hare) also have rooms for yoga, but they are also just spaces with a vast floor. I am glad to see this. Is this taking up existing space or new space? Think Qantas beat Cathay to the yoga studio in their Perth International Transit Lounge. They vary the sessions based on direction of travel (e.g. to London focuses on relaxation whereas from London focuses on waking up yoga stretches). It’s a great concept that will definitely be a favourite for longhaul pax. I didn’t see any signs of work in progress when I pass through The Pier few days ago. Perhaps they’re converting the daybed area into yoga area? If that’s true, disappointing. As @Scott said Qantas introduced their wellness studio with guided yoga sessions at their new Perth International Transit (business class) lounge for their PER – LHR service almost a year ago. I’m based in HKG and I’m with Sarah – I can see it become like every park in China with the dancing aunties. That, or it’ll just be another place someone can shout into their phone while brazenly ignoring their environment and the wishes of other people around them. Lounge staff will need to enforce rules in order to make the space pleasant and for its intended purpose – which, given cultural aspects like face and aversion to conflict, won’t happen here. I’ll stick with the QF lounge. I’d like to see more gyms in lounges. On a long travel day I hate that I eat too much, drink too much AND miss my workout! I’m not a yoga or work-out fan, but I like the idea of new and different types of amenities in lounges. Also, i definitely like the idea of making lounges more health-conscious and health-friendly. 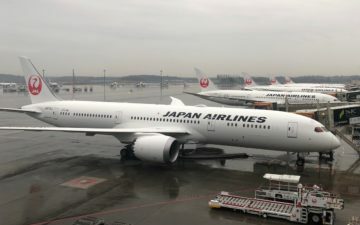 For example, I’d much rather have a fresh squeezed juice bar over some cheap wine or beer… It’s also nice to see fresher and healthier food selections being rolled out in many lounges over the cheap carbs that were traditionally offered.